EPS UK Ltd provides a range of products and services to the electrical power industry, with a specific focus on innovative medium voltage switchgear solutions. Prior to engaging with the University of Derby's Invest to Grow programme, EPS had four members of staff primarily providing consultancy expertise and product design. The business had also developed its own product which was sold to switchgear companies. EPS’ owner, Brian McKean, had provided expertise for railway projects in the USA and was aware of the potential for significant future investment in the UK’s railways. Following discussions with the government and Network Rail, Brian was invited to offer technical support to them. This culminated in EPS being invited to bid for a large contract supplying substations for the electrification of part of the UK rail network. 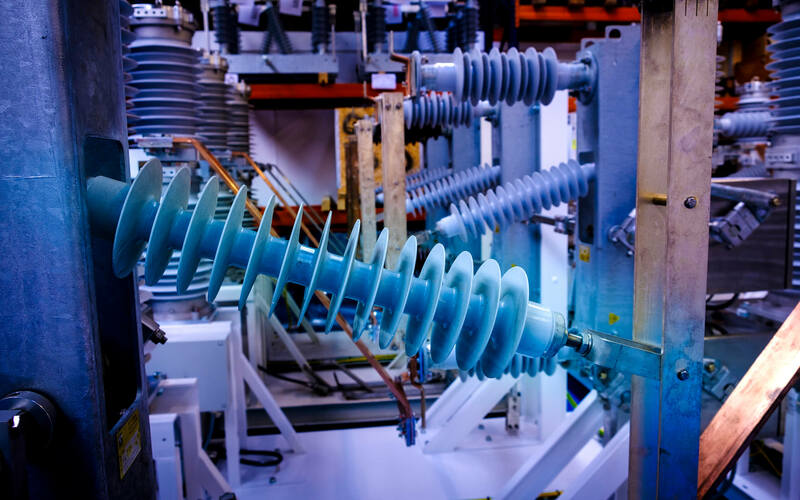 Due to the significant size of this contract and the requirement for significant financial reserves within the bidding process, EPS formed a Joint Venture, SSA Ltd (Switchgear Substation Alliance). In addition to EPS, this incorporated Electren (a Spanish company) and Giffen Ltd. Following a lengthy bidding process, SSA was awarded the contract. EPS recognised the need to considerably develop its business if it were to successfully deliver the electrification contract and realise its potential benefits. This meant developing appropriate infrastructure and equipment, creating a range of systems and processes, and recruiting and training staff. 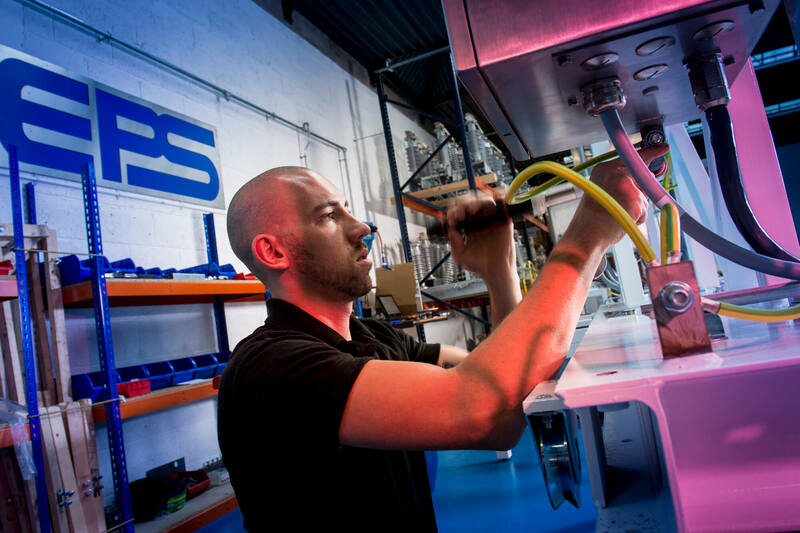 At the time, EPS was based in relatively small premises in Loughborough, with limited space to assemble the equipment required for the new contract. Following discussions with the Invest to Grow programme team, EPS applied to the programme and was subsequently awarded £496,009 in May 2015. This contributed to an overall project cost of £1,659,450. The funding was used to purchase larger premises in Nottingham, to fully equip the new premises, and to develop a Research and Development (R&D) team. Following the move to new premises, EPS immediately started to employ new members of staff to deliver the electrification contract. To date, the business has created 15 new jobs. These include a broad mix of roles such as sales people, an IT lead, project managers, a CAD team, an R&D team, and an administration lead. In addition to purchasing its new premises, EPS also utilised Invest to Grow funding to significantly develop its infrastructure. This has represented a major step change for the business. For example, it has implemented a new IT system and has also invested in a company-wide CAD system which enables all activity to be documented, including for individual sub-stations. The CAD system means that EPS is not only Building Information Modelling (BIM) system compliant, but is also recognised by Network Rail as an expert in understanding this new approach. This is expected to lead to additional consultancy work for the business. EPS has also built Material Requirements Planning (MRP) systems into its accounting system to ensure it has a full understanding of costs. This is particularly important as the business scales up its activity. The funding from Invest to Grow has been transformational for EPS. It has not only supported it to deliver a large contract and develop significantly enhanced infrastructure and skills, but has also supported the business to manufacture its products, competing against large organisations which it previously supplied R&D and consultancy support to. This has meant the business can now deliver work in-house that it previously had to outsource. The new R&D capacity within EPS means it is not only undertaking R&D for external customers, but also for the development of its own products. It has built its own on-site test facility with the Invest to Grow funding. This means it no longer has to hire external test facilities, while there has also been interest from other organisations in hiring EPS’ new testing facilities and trained staff. As a result of its ability to deliver the electrification contract, EPS has already more than doubled its turnover. As the electrification contract develops, the turnover and number of jobs created will continue to increase. Moving forward, there are wide ranging opportunities for EPS thanks to its new capabilities. For example, it has been approached by American and European switchgear companies who require UK-based manufacturing partners. It is also exploring an opportunity to develop, test and build a new product with a Spanish utility company focused around electric vehicles. This represents a new market and sector for EPS and may lead to further opportunities, for example with the military. Without funding from Invest to Grow, EPS would have managed the electrification contract but the jobs and development arising from it would most likely have occurred in Spain, delivered by Electren. Invest to Grow support has ensured the investment and job creation was realised in the East Midlands.